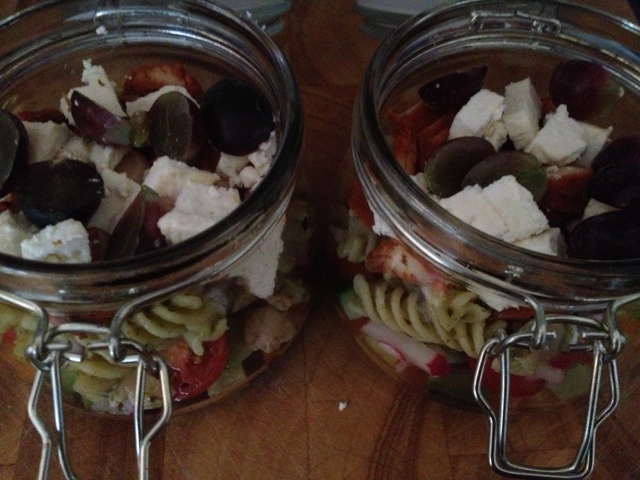 Jar salads - why am I the last to know? 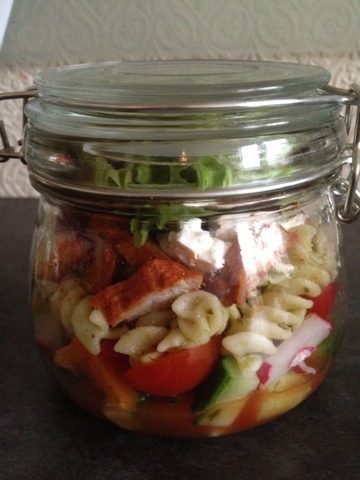 Can't believe I missed this craze for salad in a jar! Such a simple but creative idea. 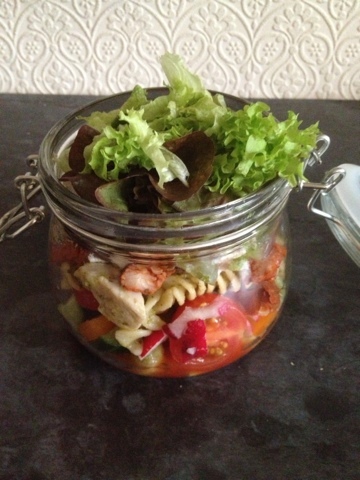 But then there was salad in a jar EUREKA! 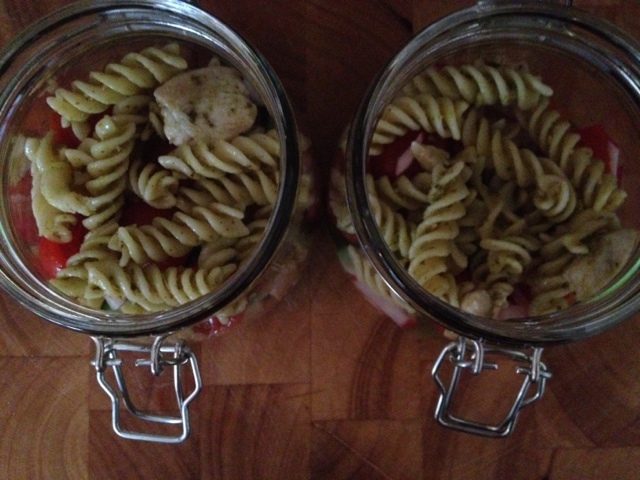 The concept is simple, grab a jar and fill with layers of salad & foods ensuring dressing is kept at the bottom. No more soggy salad and the even better news - it keeps fresh in the fridge for days. I can now make a week of ready to eat salads in on go! Add dressing of your choice to bottom of jar. 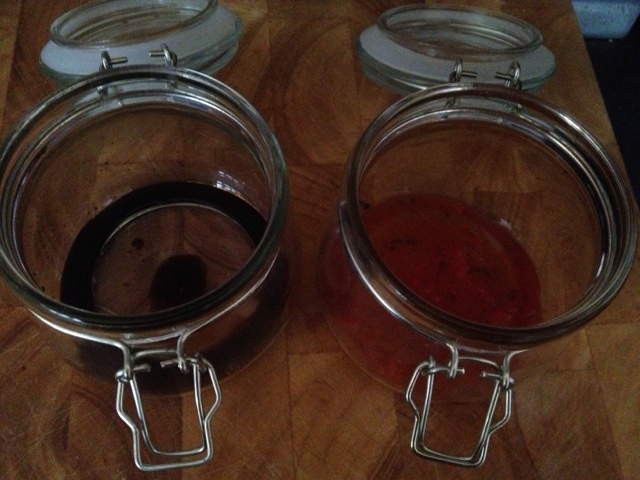 On the left I have some balsamic vinegar and on the right some low fat red pepper & chilli dressing. Add chopped salad of your choice. It's advisable to use heavier lesser absorbent vegetables first that don't mind sitting in dressing such as cucumber, peppers, onion, tomato, radish etc. Now add even more yummy ingredients. 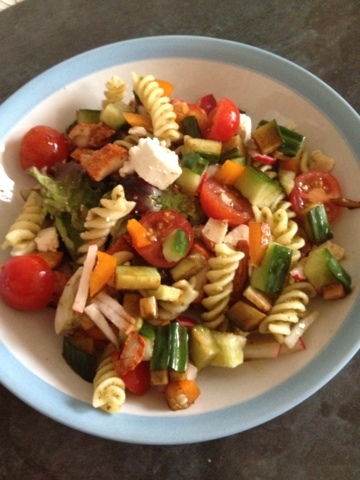 I had some left over cooked pasta so that went in followed by some cooked chicken tikka pieces, feta cheese & grapes! Lastly finish off with dry ripped up salad leaves. Now shut the lid tight and pop in the fridge until ready to eat. You can either eat straight out the jar but personally I prefer to tip the salad into a bowl. 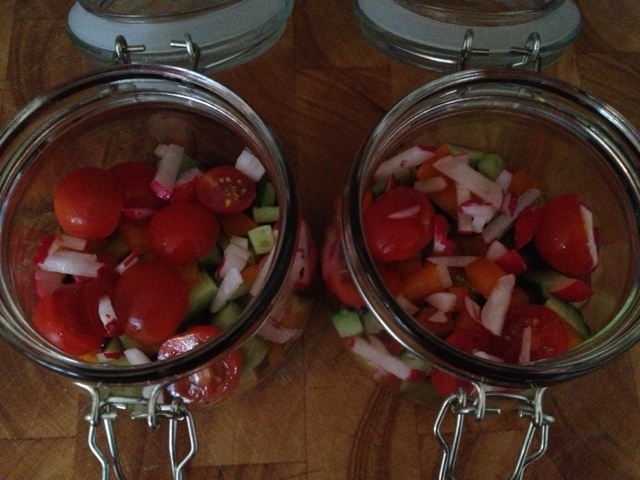 The combinations for these jar salads are HUGE! 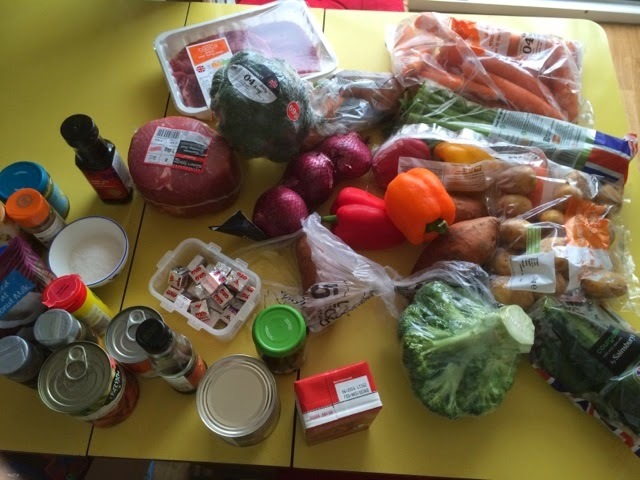 Add cooked meats, pasta, rice, couscous, eggs, beans, peas, sweet corn, cheese, fish......... I could go on and on. I think experimenting & using up left overs and what's in the fridge is the key.